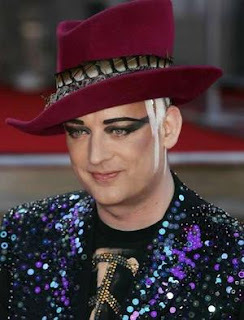 The legendary Boy George will be exclusively DJ’ing for Illamasqua in London Oxford Street’s Selfridges today! For an amazing atmosphere and the opportunity to see Boy George live, visit Selfridges later today. Come down to Illamasqua from 5 – 6pm to witness Boy George in action and enjoy the festivities on counter. What better way to celebrate the countdown to Christmas than to party in style while you browse the beautiful Christmas Gift Ideas on counter and pick up those last minute purchases.